Beyond Your Blog: Can you tell readers about your blog, Let Me Start By Saying? Kim Bongiorno: I have been writing online since 2003, but decided to launch Let Me Start By Saying in 2008 as a place for me to focus more on the writing than simply journaling about my life and my family. Here you can find everything from parenting humor, to short fiction, to social commentary, to reflections on harder issues that come up in my life. I don’t force myself in a box on my blog, and it’s the way I feel most comfortable presenting myself online. BYB: You take the words ‘Beyond Your Blog’ to a whole new level. 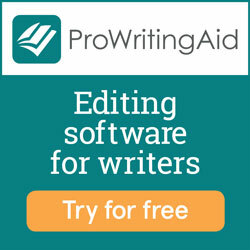 Let’s start with your writing on other websites. Tell me why you have chosen to put so much of your work onto other sites. KB: My goal has always been to be a professional writer, not a professional blogger. Yes, I love to engage with people on my blog, but I want to write all sorts of different things—and get paid to do so. My readers know they can always find me on social media (here I am on Facebook and Twitter), and once a week I send out a newsletter with links to all the various places I wrote. Let Me Start By Saying is a nice landing spot to find me, then I guide you to the various places I write so you can read what interests you most. 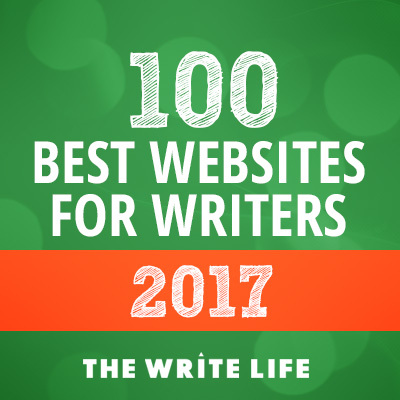 BYB: Can you pick 3 or 4 of your favorite sites you have been featured on and tell us A) Why they are your favorites and B) Any tips you have for writers submitting there. KB: I’m a daily writer for NickMom, which is a fun challenge. I love the team, get to try out lots of different ideas, and the habit of coming up with a few new pitches every day was really good for me. LifetimeMoms recently brought me on board, allowing the wordier side of me to be released. I find a lot of humor in longer pieces, so it’s nice to be able to stretch those legs. I’ve been involved with InThePowderRoom for years, and the freedom over there is incredible. Truly, anything goes. Huffington Post Parents has been a wonderful collaborative experience, gaining me a wider platform for pieces I’ve already run on my blog. I talk more about that here. Read the content currently on the site. Get a feel for that site’s audience by reading the comments and seeing which posts are the most popular. Follow that site on social media. Follow their exact instructions on the submission process, pitch ideas to them that would truly resonate with that specific audience, and don’t forget to include your name, contact info, and bio with the submission. KB: These websites are businesses, so act professionally both before and after. In a nutshell, calm the hell down. These places receive a lot of pitches, so if yours isn’t responded to, simply reach back out to them to follow up. If the pitch isn’t accepted, try again another time. When you are accepted, graciously thank them and make sure you’re following all their social media outlets (though, I did already tell you to do that before you even pitched!). Once it is published, share the post with your audience. Whether you do a very short teaser post on your own blog that directs readers to the article is up to you, but at a minimum, you should share it across social media a few times throughout the week of publication, as well as acknowledge the website’s promotion of it by “Liking” their Facebook posts about it, RTing their Tweets about it, etc. BYB: You also have a resume of videos and media. Can you pick one or two of your favorites and tell us A) How the opportunity came to you and B) How you benefited from it? KB: The interview on HLN with Kyra Phillips was great because we talked about a variety of important parenting topics. I was asked to join in because of my article called “Her Future Fat Thighs,” and was glad something I wrote about body image got people talking. My daughter also got a kick out of seeing her little legs on our TV at home. As for videos, I loved being a part of the fake infomercial “Wine-Not” (my segment begins at 3:00) because it gave me a chance to write and act out something with friends. I really get a kick out of this sort of thing, plus it allowed people to see me as someone comfortable in front of the camera. Not long after, requests to appear in other videos came in. BYB: You’ve been published in 6 books! What tips can you offer to writers submitting to anthologies? KB: Take your time. Write an essay you think would work for the topic of the collection, then let it rest. Pick it up, work on it again. Edit it. Have someone else read it. Have someone else edit it. When you think it is truly done, multiple rounds of edits have happened, and it’s ready to go, make sure all of the following are on the document itself: your name, contact info, bio, and the title of the essay. Scary Mommy’s Guide to Surviving the Holidays 2014 now available to order as an eBook. Author proceeds are being donated to the Scary Mommy Thanksgiving Project, so every purchase helps feed families in need. BYB: You also put together your own anthology of short stories. What are the first steps someone thinking about putting together an anthology should take? KB: Think long and hard about why you want to put together your own anthology. It is a lot of work if you do it yourself, and can be expensive if you hire people out to do parts of it for you. One does not simply slap together a book! I knew I wanted to create a collection of my fictional work to remind people that I love to write fiction. I thought it was a good strategy to get this book into peoples’ hands before I began pitching my first fictional Young Adult novel to publishing houses. It was a big commitment, I almost lost my mind a few times during the process, and don’t think I slept for a month, but I’m very happy with the results. KB: Twitter is where I go for a good laugh, but I’ve had so many great conversations with readers on Facebook that I can’t not give it a shout-out. KB: Being able to connect with people I never would have met in my regular daily life. KB: When people take credit for my work and get away with it. BYB: What is the next big goal for you in your writing career? KB: The manuscript for my first YA fictional novel is currently being reviewed by various publishing houses, which is truly a thrill. I’d love to land a book deal for that—and its sequels—soon. BYB: Tell us about how we can submit to you humor website! KB: I have a holiday humor website called ElfShaming that I’ll be accepting submissions for starting November 1st!